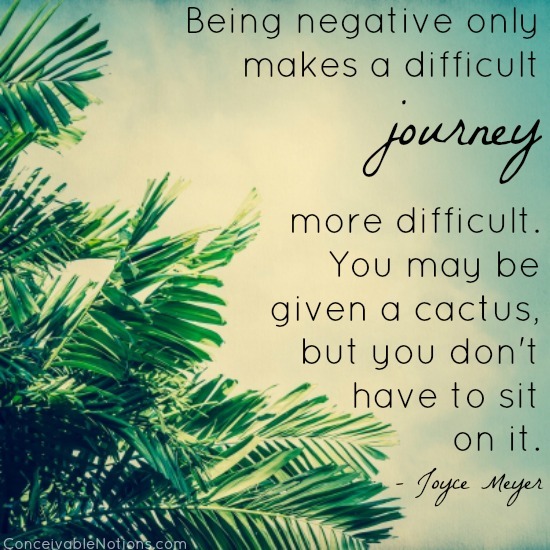 Infertility is an incredibly difficult topic to talk about. It's a very private thing and everyone feels different about how open they want to be. As for us, we kept it to ourselves for quite a while. 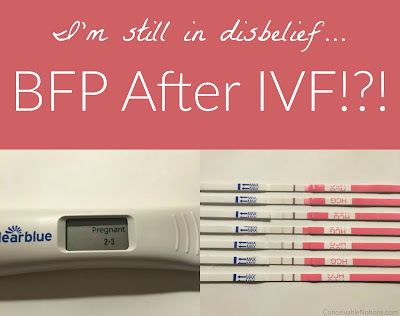 It was only after our second IUI failed, and we were sure we were destined for IVF, that we decided to tell my family. Truthfully, this was one of the hardest conversations I've ever had. Just gathering up the strength to open my mouth and finally say it took me hours. You don't quite know how someone will react, so you can't really plan the conversation out fully. 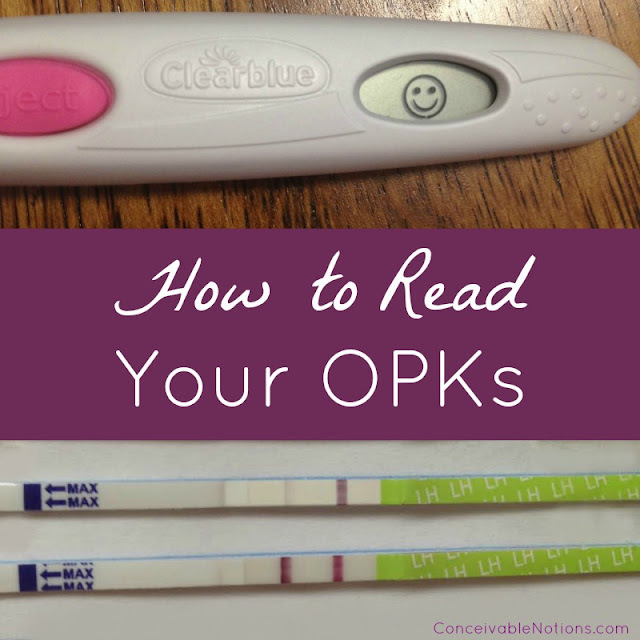 If you're considering telling your family or someone else close to you about your fertility struggles, I have some tips to share. Gathering up the strength to finally tell someone is the hardest part. It's normal to be nervous before starting a conversation like this and sharing something so private. But once you start talking, the weight is lifted. You've done it! You've worked up the courage to share. Choose a private, comfortable place for this conversation. Be sure to have enough time to talk, so if you have an appointment in an hour, it's best to wait. This type of conversation shouldn't be rushed, and you or your family may get a little emotional at times. You get to decide how much you share. There may be some aspects of infertility you do not want to share or discuss, for whatever reason. You do not have to share anything your aren't comfortable with sharing. This is your situation, your feelings, and your life. It is your right how much you keep to yourself and how much you let others in. An easy response to a question you don't yet want to answer is, "We're just not ready to discuss that just yet" or "We've decided to keep that private for now". Ahead of time, decide how much you are comfortable sharing. Before sharing any aspect of your infertility, make sure to have a discussion with your partner about what you both are comfortable sharing. You may have different feelings on what is appropriate to share, and it's best to discuss it prior to telling anyone. 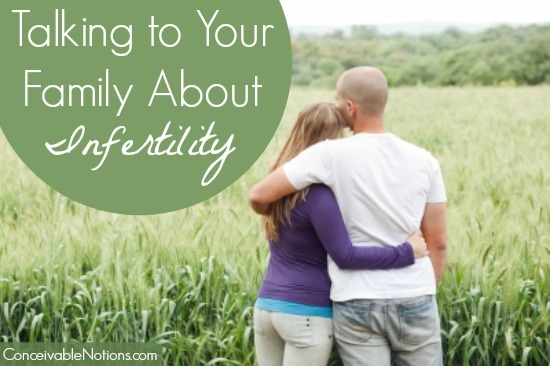 Your family may not understand infertility. If no one in your family has ever dealt with infertility, they may know almost nothing about it. They may have more questions than you realize. Don't expect them to understand right away. It might take time for them to come to terms fully with what infertility is. Many people that haven't experienced any fertility issues and don't know others who have, simply do not realize how common infertility is. Don't expect them to absorb it all right away. When I talked with my mom, she was simply stunned. She was so surprised and sad for us, that the next day she told me she didn't remember half of what I said. When you are experiencing infertility, we get exposed to a whole new world of "infertility things", and it becomes routine and normal to us. Don't get angry if they tell you, "just relax and it will happen". Our society seems to have this idea, that if you just relax enough, you magically get knocked up. We've all heard it. Everyone, everywhere seems to say it and it's a phrase we've all heard, or maybe even said ourselves a time or two. Your family members are no exception and might not realize that infertility is truly a medical issue, not a relaxation issue. They will come to understand this. Be sure to tell them how common infertility is. If you're like me, I had no idea just how many people actually struggle with infertility until it happened to us. 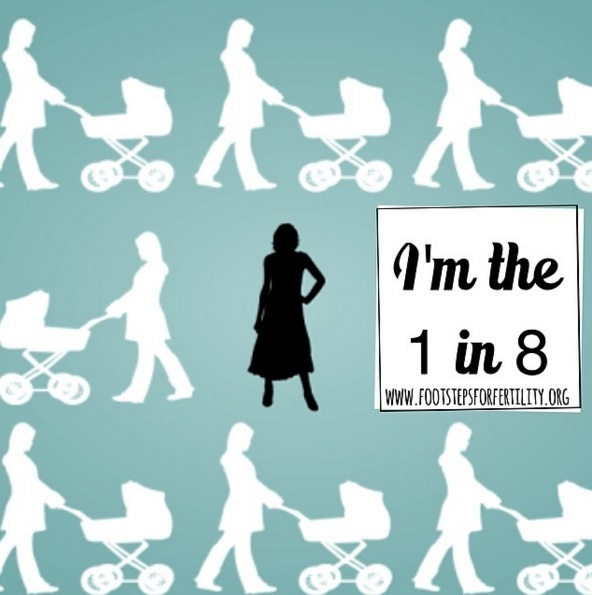 1 in 8 couples have difficulty getting pregnant. That's millions of people! Infertility is often not shared publicly, so many of us don't realize that it's happened to many people around us. Finally telling someone will be a weight off your shoulders. You may have wanted to tell them sooner, but didn't know how or just weren't ready. Once you have finally been able to share, you will feel that some of the burden is lifted off of you. You don't have to go through it alone. Tell them how they can best support you and your partner. Many family members will immediately want to help you in any way they can. Be sure to tell them what they can actually do to support you. If you just want someone to talk to, tell them. If you'd like them to be involved in your treatments, tell them. If you prefer that they never talk about it unless you bring it up first, tell them. If you're struggling with the decision to share your infertility diagnosis with your family, remember that there is no right answer as to when you should speak up. Listen to what you and your partner are comfortable with. You may really need the support of your family or maybe you think you'd be happier having more privacy. Both options are valid! Have you shared your diagnosis with your family? Feel free to share in the comments. We'd love to hear from others going through this difficult situation. My husband and I have been TTC for about four years. About two years ago, I started to believe something was wrong. We were diagnosed similarly to you and your husband. We shared with my mom, who was really easy to talk to about it. My husband's parents have been consumed with their new grand baby from my sister-in-law, so I'm not sure that they really get it. My husband never talks about it, nor do they. In some ways, it's a relief not to be asked all the time for progress updates. Stim Days 7 & 8: How Many Follicles? Conceivable Notions is a participant in the Amazon Services LLC Associates Program, an affiliate advertising program designed to provide a means for sites to earn advertising fees by advertising & linking to Amazon.com.Conceivable Notions accepts products for review and may receive compensation for our recommendations, endorsements, or links to products contained within this blog. I am not a doctor and none of the information provided here is medical advice. 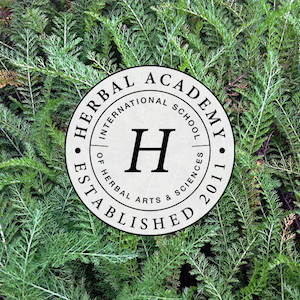 Read our full disclaimer here.